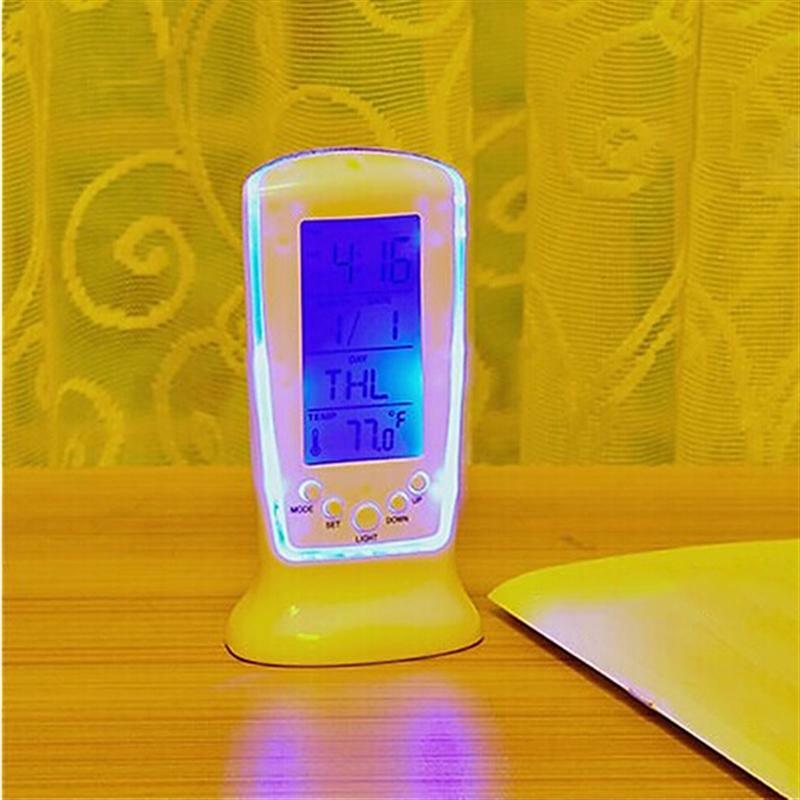 The item is a wonderful LED digital clock, which is powered by 3 AAA batteries, and can be used to display time, date, week. It also has an alarm with a snooze function to remind you of every important moment. 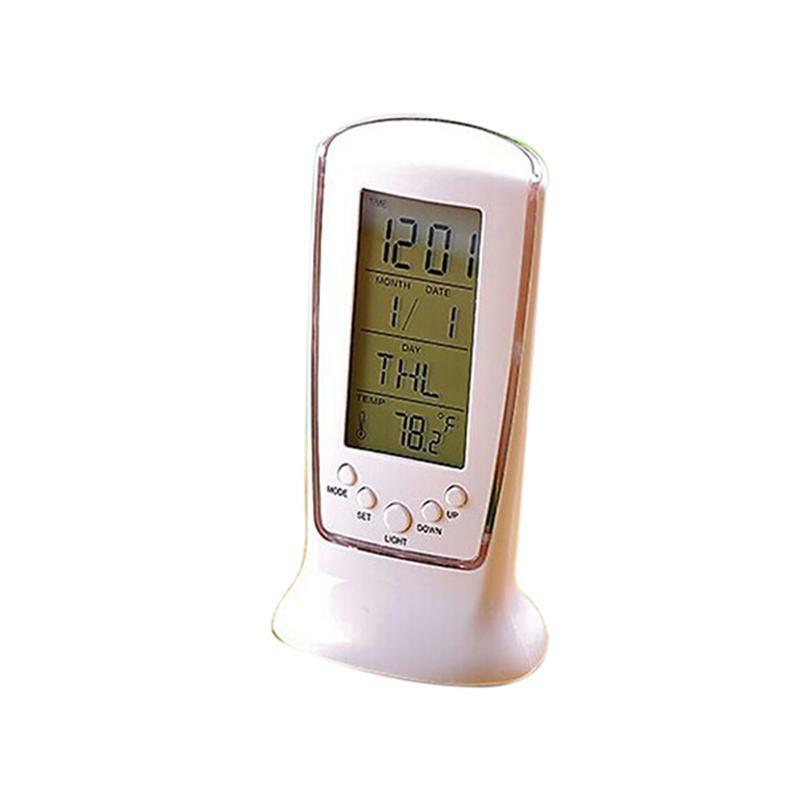 Besides, it has thermometer, backlight, timer and music function. 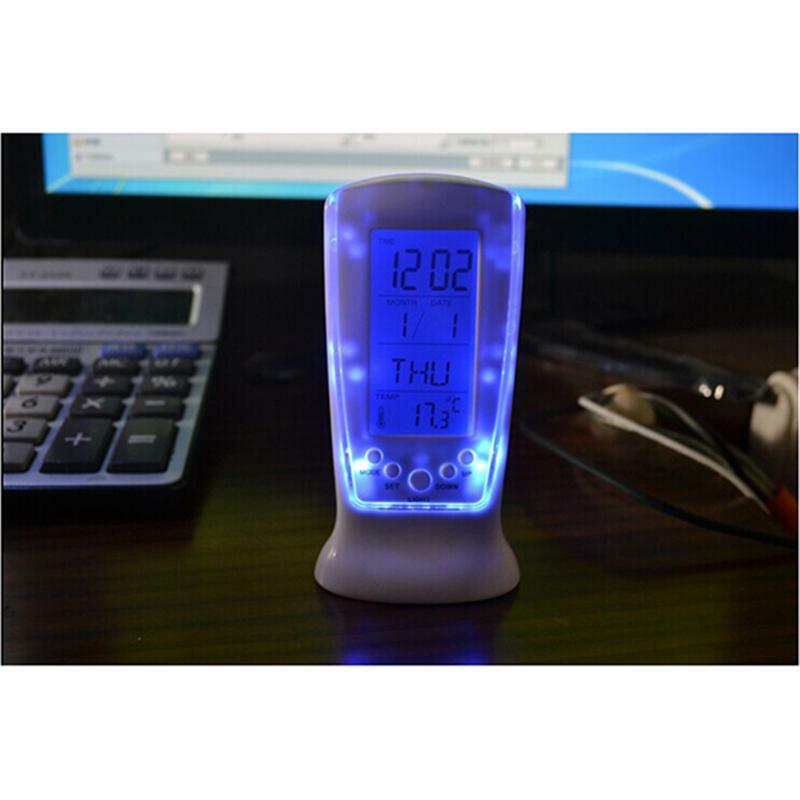 Therefore, it is really a wonderful digital alarm clock ideal for home and office use. - Size: 12. 2 * 6.4 * 5.8cm. - Adopt large LED screen for easy to read. - Powered by 3 * AAA batteries (not included). - Display time, date, week and temperature. - An alarm clock with a snooze fuction. 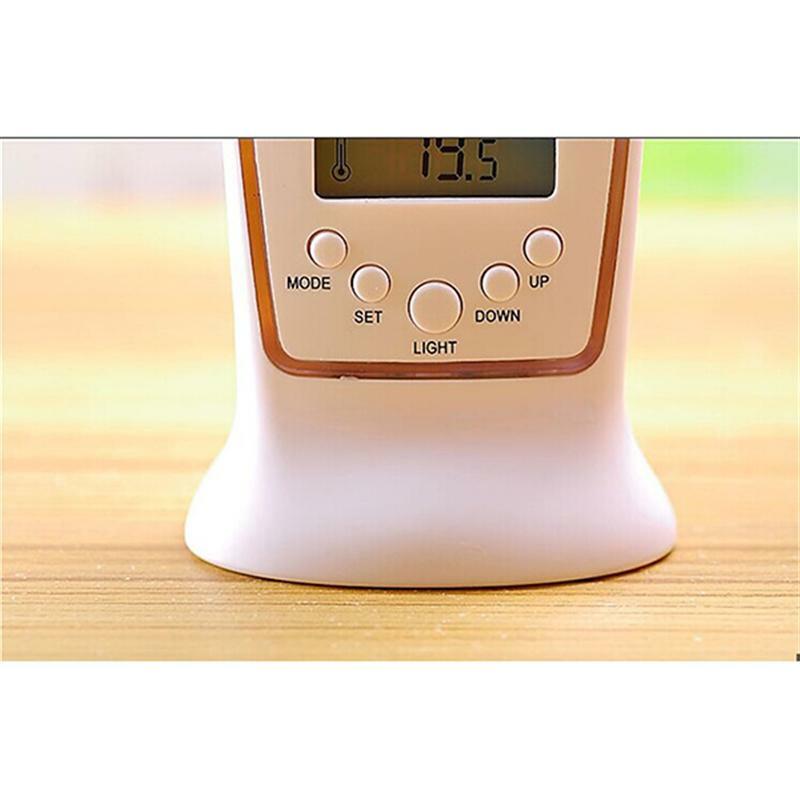 - Music and timer function to remind you of every important moment. 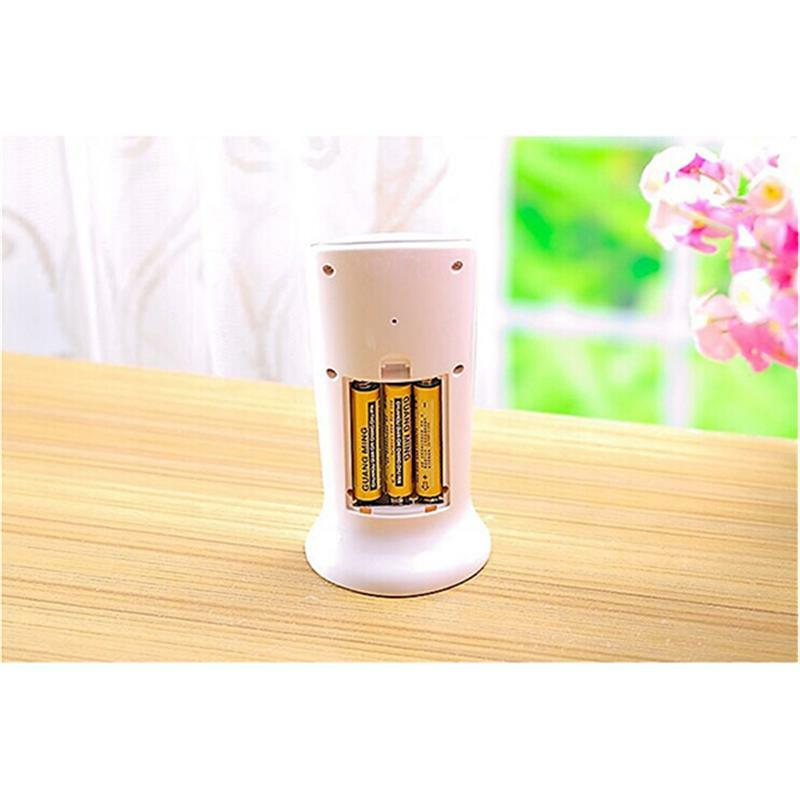 - Simple appearance for home and office desk.